BetVIP is a brand new sportsbook. They claim to be the first to receive their gaming license (in Curacao). They offer fast deposits, 24 hour or less withdrawals and a deposit bonus with a rollover that is lower than most online sportsbooks. More on that in a second. They also have excellent customer service. They respond to most posts made in the Bitcoin Talk forums. They handle complaints and critiques well, too. In one case they even waived the rest of a player’s rollover requirements (by 50 mBTC) so that they could withdraw their funds. And if you can’t catch them in the forums, you can ship them an email at: [email protected]. I received a reply to my email in less than 1 day (and I shipped my email over the weekend). That’s unfortunate. It really is. It looks like only international players will be able to participate in their 100% match bonus with an incredibly low play through requirement. Of course if one were to read between the lines, it may seem that using a VPN would enable US residents to use BetVIP, though doing so is purely at your own discretion. BetVIP is offering a standard deposit bonus – a 100% match on your deposit up to 1 bitcoin. What’s not standard about the offer is the 5x rollover. To put that into perspective, most Bitcoin casinos and sportsbooks have 25-50x rollovers. All you need to do to get the offer is email them. Then bet on matches with odds of 1.5 or higher. Sounds good, right? Well, there are some skeptics – myself included. The thing is, a 5x rollover isn’t good for the house. You have to wonder why they’re willing to lose all that money up front. Especially considering they come from a fiat (traditional) sportsbook background. You’d think they’d know that. 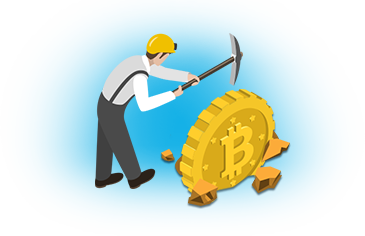 Several players brought the rollover up in the Bitcoin Talk forums. BetVIP claimed it’s just apart of their marketing budget to boost awareness for their launch. Is it too good to be true? I guess we’ll have to wait and see. BetVIP uses BetTech Gaming software. This gives them the opportunity to offer in-play betting, casino games, poker and lottery games. BetTech uses Microgaming software too. So, by extension, BetVIP could offers hundreds of casino games if they wanted. Virtual Football – This is different. It’s like betting on an uglier version of FIFA. They have in-play betting too. When I last checked out their site, you could make bets in real time on hockey, baseball, soccer and football. Basically, all the standard stuff you can bet on anywhere. Note: According to this interview  they should have casino games added by the end of September. So, one question remains – should you join BetVIP? Well, they appear to be a decent sportsbook. They’re licensed, mobile responsive and have a good selection of things to bet on. And they plan to add casino games too (I hope from Microgaming). You could even justify signing up just for their deposit bonus (with the excellent rollover). For that reason I give them a B. If they ever decide to accept Americans, or happen to be in business a year or two from now unscathed, I could see bumping their grade up to a B+ or A-. However, I would add one cautionary note. When a site is new in the industry, I always take the stance that they should be approached with caution. BetVIP look good to me, but the low rollover on the bonus is a small warning sign. I feel they are safe to use, but as with any online gaming site – be careful.